Despite appeals by President Reuven Rivlin, Blue and White will not agree to join a unity government led by Prime Minister Binyamin Netanyahu, the party’s number three, Gabi Ashkenazi, told Rivlin Monday. Blue and White was the second party called in by Rivlin to make their recommendation for whom Rivlin should ask to form the next government. Rivlin met with Ashkenazi after having met with the largest party in the Knesset – the Likud – to whom he also appealed to form a unity government. “Despite the seeming divisions among them, the people want unity,” he told MK David Bitan, Tourism Minister Yariv Levin, and Culture and Sport Minister Miri Regev, representing the Likud. “I call upon you as MKs, ministers and leaders to keep in mind that the challenges we face are not simple.” While not rejecting the idea of a unity government, the Likud delegation said they recommended Netanyahu for the job. Ashkenazi, on the other hand, outright rejected the idea. “Because of the current conditions, we cannot join a unity government,” he said. “We will be a part of any effort that will assist the public, regardless of what side of the aisle we are on.” During the campaign, both Netanyahu and Gantz had rejected the notion of a unity government, although speculation based on the results of the election led to thoughts of forming a unity government. 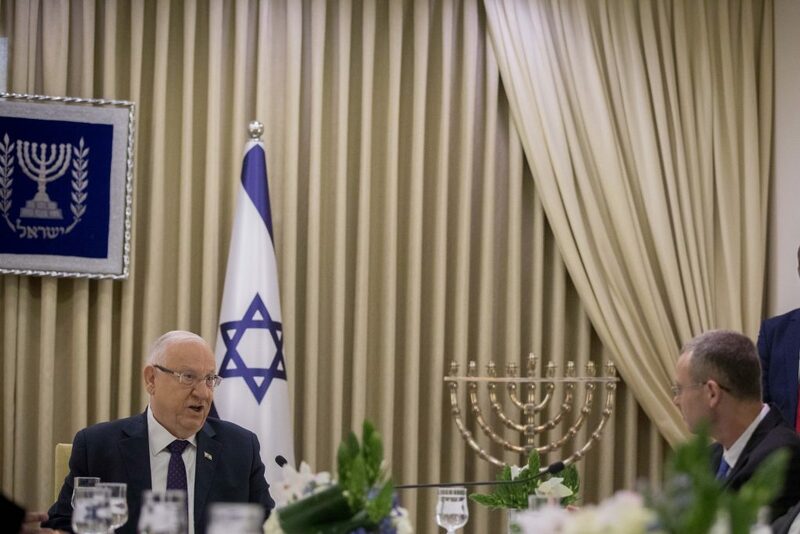 Rivlin on Monday began interviewing parties elected to the new Knesset regarding their preference for Prime Minister, and most parties have declared that they will tell Rivlin they prefer Netanyahu. According to Israeli election law, Rivlin will meet with all the parties and then invite their preferred candidate to form a government. The candidate will have 28 days to form a government, and if efforts are unsuccessful, Rivlin has the option of extending that by another 14 days.